Herefordshire is perhaps a county better known for hop farms and cider than beer. If anything, attempting to redress that balance by opening a destination bar in Hereford itself seems to have spurred partners Jonny Bright and Amélie Varin on to doing something beyond the norm. They've spared no expense in creating what they believe to be the UK's first bar-based glass fronted cold room, enabling them to store and display all stock at a freshness-preserving 4 degrees celcius. This kind of setup is commonplace in the USA, where even most supermarkets store all beer on chilled display shelves, but the UK is a long way off being able to support getting beer from conditioning tank to glass at optimal temperatures. 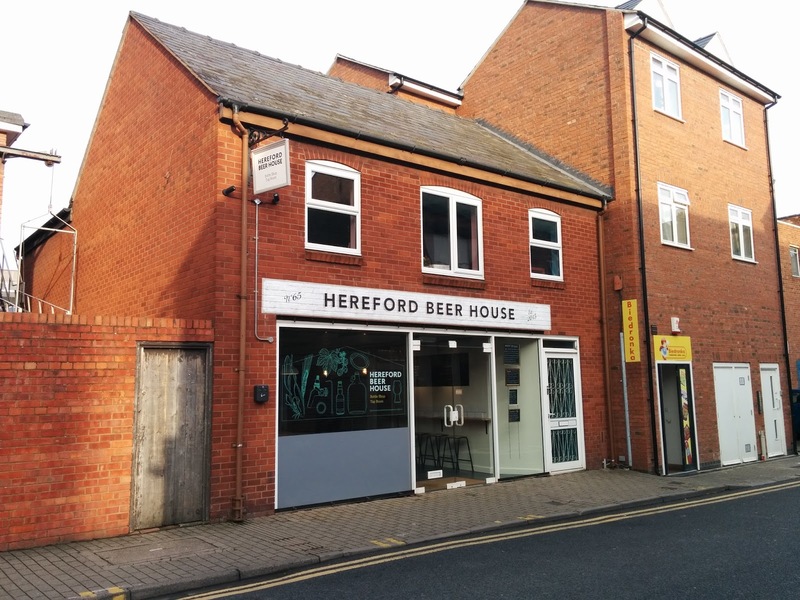 Hereford Beer House is more than just a beer bar, however. The beer offering is supported by plenty of local cider, cheese & charcuterie, coffee & tea and even home brewing ingredients - aiming to create a welcoming and accommodating choice rather than all-out hard sell on beer. In addition to the bar itself, Bright (formerly of BrewDog, Brodie's and Weird Beard) and Varin have created After The Harvest, a cuckoo brewing company aimed at bringing both fresh and wild beer directly to their customers. 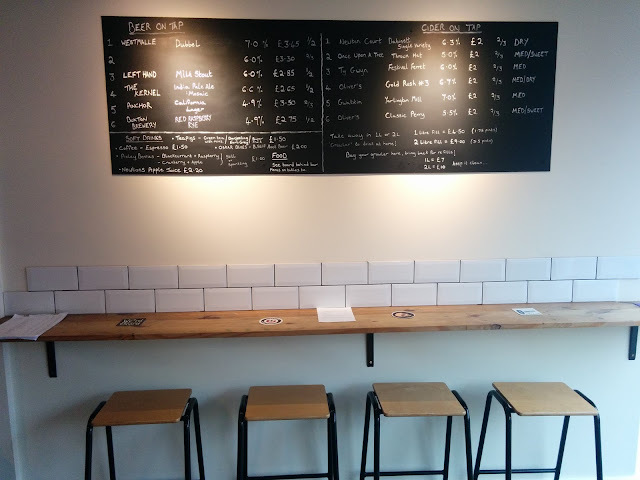 The connection of the bar to their beers has proved popular, with the first batch being the biggest seller so far on the taps. Selling a diverse, high-end beer selection to those just discovering 'craft' beer is not without its challenges of course, and in order to inspire that discovery, the bottles are very keenly priced and sharing is encouraged. In the hour or so I was there, custom ranged from those very familiar with the offering to curious passers-by. 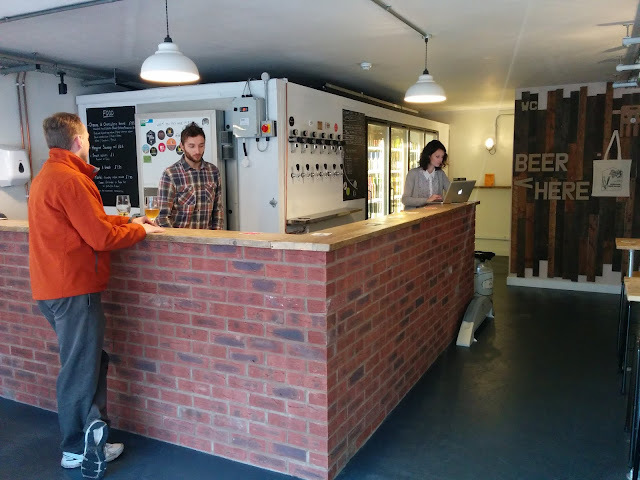 The couple certainly have a challenge on their hands in the months ahead but its one they're relishing, and their offering is perfectly poised to help them in their aim of bringing great beer to Bright's home town.